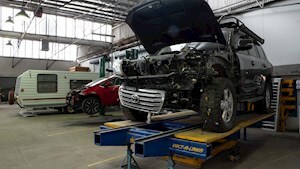 FAQ’s about Repairing your Car, Caravan and 4WD after an accident. Take photos at the accident scene, and be sure to swap names, addresses, license number, registration number and insurance details with any other involved parties. If your car is drivable, bring it to our office for a quote. Subject to the price of parts, your estimate may be provided on the spot or shortly thereafter. If you require assistance with towing your vehicle, please call 8344 9299. Our staff are available 24/7 to help recover your vehicle. Making an insurance claim can generally be completed over the phone from our office with early lodgement meaning minimal delay in the assessment, approval and repair process. Our staff will coordinate your claim to make the process fast, simple and hassle free. You will only need to report it to the police if the damage is over $3000. We will be able to advise you on whether this is the case for your vehicle upon seeing the damage. 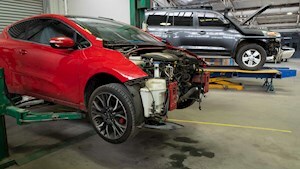 Can I take my car to a repairer of my choice? Yes, most insurers have “Freedom of Choice” in the policy. It is your right to choose who you want to repair your car. When making a claim advise the consultant of your choice of repairer, rather than be steered to a network repairer. After all, you should have complete control of the process, not your insurer. If unsure, call our office for up to date advice. Do I have to use an insurance companies preferred repairer? No. Most insurance policies have a “Freedom of Choice” clause. 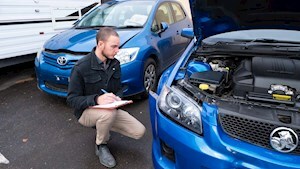 Simply choose who you want to fix your car and advise the claims consultant of your decision. If unsure, you only need to ask the claims consultant if you do have freedom of choice. Do I need to make an appointment to get a quote? No, we do all our quotes between 8:00am and 4:30pm, Monday to Friday. It will only take 5-10 minutes, so drop in for a free quote today. How long will it take until I have my car back? The insurance assessment process can vary depending on the company. We will compile a comprehensive quote and get the process started. Depending on the severity of damage and repairs required, timeframes can vary a lot. We will advise of the time frame upon inspection of the vehicle. Yes. All our workmanship on motor vehicles comes with an absolute lifetime warranty, for as long as you continue ownership of the vehicle. 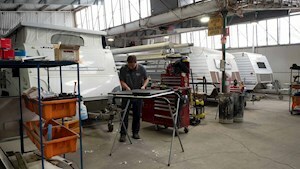 On caravans, our repairs have an industry leading 7-year warranty on workmanship. Most insurance companies have hire car cover in their policies as an option. It may pay to check there first. There are options of reimbursement if it is a not at fault claim. 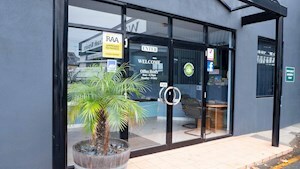 Walker Crash Repairs have very reasonably priced hire cars by arrangement.